How to get your tin number (Taxpayer Identification number) same day free of charge in Nigeria. By law, every citizen of Nigeria has an obligatory responsibility to pay and remit his/tax to the appropriate authorities. In developed countries, tax fraud/offense is being frown at immensely with prison able penalties. However tax is a major source of government revenue as such the federal government of Nigeria haven’t watched with great dismay how taxes are being evaded by individuals and business owners took a step further to launch VAIDS which is Voluntary Access and Income Declaration Scheme. This program is aimed at granting amnesty to all and sundry and encourage everyone to declare their income, assets etc. for tax purposes, thus the need for tin number (Tax Identification number). WHAT IS TIN NUMBER (TAXPAYER IDENTIFICATION NUMBER) ? Tin number (taxpayer identification number) is a unique number assigned to each tax payer, individual or companies by the federal government through Federal Inland Revenue Service (FIRS) to identify them as registered tax payers in Nigeria. To avoid legal implications, companies tend to get their tin number (taxpayer identification number) after incorporation. Here’s all the details you need on how to apply and acquire your tin number for whatever purpose same day and it’s free of charge. Go to any Federal Inland Revenue Service close to you and announce your intention to obtain tin number (tax identification number). 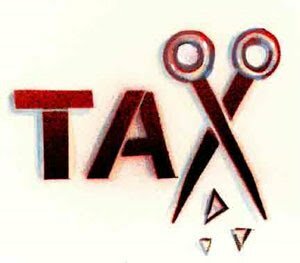 Enterprise and limited liability company tin number (taxpayer identification number) are strictly for business purposes while Individual tin number (taxpayer identification number) is for your personal income tax. 1. There’s no assessment file being opened for enterprise application while you will need assessment file for limited liability type. 2. The tin number (taxpayer identification number) for enterprise is eight digit number Example 14869725 while that of Limited Liability Company is twelve digit number Example 12546894-0001. 1 Certificate of incorporation– This is certificate used or issued by the corporate affairs commission which permits the business to run as a registered and reorganized entity in Nigeria. 2. Memorandum and Articles of Association– Memorandum of association is document that sets up the company while Articles of association set out how the company is run, governed and owned. A . The first is called answer to questionnaire which contains: Incorporation date, commencement date, name of the company, business address of the company, email address etc. B. Application for clearance certificate. C. Application letter for tin number in Nigeria (taxpayer identification number). 4. Duly completed tin application form. For individual: You will have to provide a duly completed application form for TIN. Then any of the following ID cards: International Passport, National ID Card, Staff Identity card or National Driver’s License. HOW LONG DOES IT TAKE TO GET TIN NUMBER (TAXPAYER IDENTIFICATION NUMBER) ? Your tin number will be available same day, if all requirements are met and presented. How much will I have to pay for tin number (taxpayer identification number) ? You are not expected to pay any money, it’s free of charge especially if you are running a new business, and however, after incorporation you have a grace period of six months to register for your tin. If you are registering for an existing business older than six months, you may have to pay accrued charges as made provision for by the Act. Where can I get tin number (taxpayer identification number) in Nigeria? Visit any Federal Inland Revenue Service office close to you. 14869725 – For Enterprise Company. 12546894-0001- For Limited Liability Company. Tin number (taxpayer identification number) updating: This is the requirement for taxpayers with incomplete records at the Federal Inland Revenue Service (FIRS), to complete their documentation. This can be done at the tax office where the tin was initially generated by providing a. Email address and b. phone number which after updating the system will indicate that the tin has been successfully updated. Tin number (taxpayer identification number) validation in Nigeria: This is the practice of confirming that the updated tin meets the standard condition for transacting business with other organizations like the Nigerian Custom Service (NCS), Central Bank of Nigeria (CBN), NAFDAC etc. 1 . Enter the tin number alongside the email address used in updating same, in the available spaces. 2. Enter the security word CAPTCHA systematically generated and click on validate. 4. An authentication email notification from “Nigeria Single Window” with a log in password and instruction on how to complete the registration process will be sent to the taxpayers email address. 5. On completion of the validating exercise, an email will be sent automatically to the email address provided confirming successful validation. You are hereby advised to check your email for the information. Are there questions and concerns you wish to get clarity for, it’s you turn now ….. Let us here from you.